Parochial institutions in nineteenth- and early-twentieth-century Montana, which were almost exclusively under the supervision of women, were the forerunners of our modern social services. Catholic nuns, Methodist deaconesses, and nondenominational Christian women offered comfort, sanctuary, and stability to the lost, the desperate, and the destitute. Their contributions were far-reaching and some of their pioneering services evolved and remain viable today. Sisters of Charity of Leavenworth (Kansas) came to Helena in 1869 at the invitation of Jesuit priests who saw a dire need for feminine influence in the rough-and-tumble gold camp. The sisters’ mission was threefold—to teach youth, care for orphans, and minister to the sick—and it fit in with the real needs of the frontier community. St. Vincent’s Academy, the first boarding school for non-Indian girls, opened in 1870 and educated girls until 1935. The sisters also cared for the indigent mentally ill until the founding of Warm Springs in 1877. There was no other place for these people, and their care was a dangerous undertaking. On one occasion, a violent patient escaped his restraints and overpowered a hired man and a priest. Sister Patricia calmly threw a mattress over the patient so that others could rush in and restrain him. 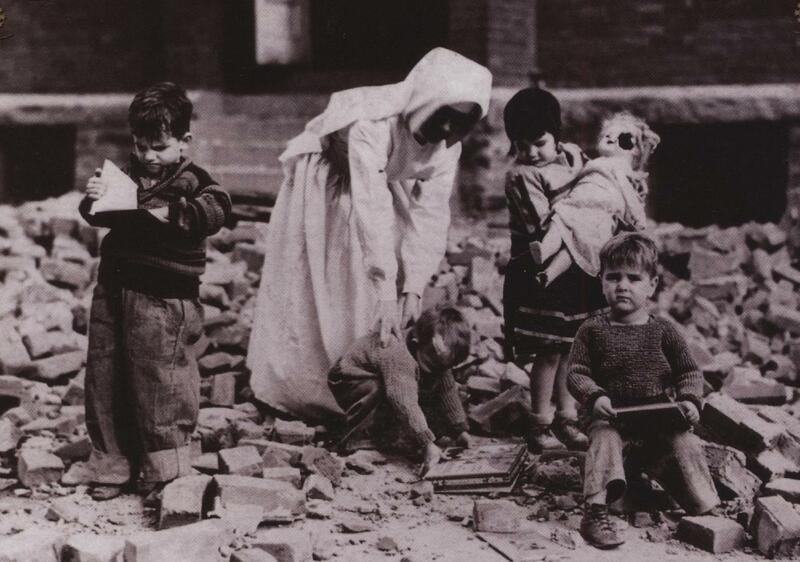 In addition, the Sisters of Charity founded St. Joseph’s Home, the territory’s first orphanage. In 1881, the Sullivan brothers of Butte (ages three, five, and six) were the first of hundreds of needy children to enter their care. After their mother died, their miner father could not care for them, so the sisters took the boys in and nurtured them. In time, Stephen and Ambrose would enter the priesthood and John would become a doctor. Because Helena was the seat of the Catholic diocese, the largest population center, and the capital, many social service institutions were first located there, especially during the reform movements of the 1890s. Sisters of the House of the Good Shepherd arrived in 1889 to open a sanctuary and school for “fallen women and wayward girls.” In 1896, members of the Women’s Christian Temperance Union were among the founders of the Florence Crittenton Home, which complemented the work of Good Shepherd. Longtime matron Lena Cullum and the Crittenton board developed a close reciprocity with the Sisters of the House of the Good Shepherd whose mission, although similar to that of the Crittenton Home, did not include the care of pregnant girls. 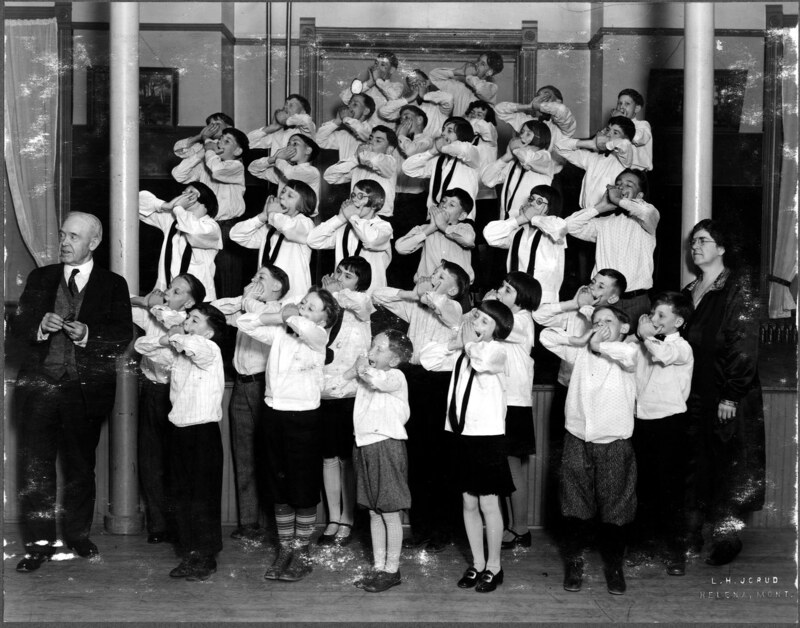 The Montana Children’s Home Society, also founded in Helena in 1896, was a Protestant nondenominational alternative to the Catholic St. Joseph’s Home. Dr. Elizabeth Holden, who specialized in women’s and children’s health in private practice, gave her home for use as the first facility. The organization took in children from the orphan trains, babies up for adoption from the Crittenton Home, and other needy children. Parochial education also evolved under the auspices of women in Montana, and it was often intertwined with social services. Various orders of Catholic sisters opened schools in many Montana communities, including Helena, Missoula, Great Falls, and Billings. By 1908, Catholic schools were serving 5,536 of the 61,928 children enrolled in Montana schools, not including reservations. Protestants, concerned that there was no alternative private education, brought deaconesses from the Chicago Training School to open the Montana Deaconess Preparatory School in the Helena valley in 1909. The only Protestant boarding school west of the Mississippi, the school accepted children ages five to fourteen. The deaconesses were trained teachers and social workers. The school had many charity cases and sometimes took in Protestant children originally placed at St. Joseph’s orphanage. Although the school was not an orphanage, the community perceived it as such. Consequently, donations helped sustain the school. Networking among the women of these early institutions, established before child welfare systems and other social services were in place, speaks to the heart of those who strove to do the best they could for those under their care. Lila Schroeder Anderson serves as one example of a lost child who benefitted greatly. Anderson was the third of six children of an eastern Montana rancher. In the 1920s, when her mother died and her father split up the family, she was the only sibling sent to the Deaconess Home at Helena. Soon thereafter, Crittenton Home matron Lena Cullum, en route to a meeting at the home, saw ten-year-old Anderson marching down the sidewalk with her belongings in a pillowcase. Cullum stopped and asked the child where she was headed. “I will find my brothers somehow,” Anderson recalled saying. Cullum then made arrangements with the deaconesses to take her in at the Crittenton Home. While Anderson had an unconventional childhood at the maternity home, she went to public school, where she excelled. And Cullum gave her away when she married. The early matrons and mother superiors of these homes, whether Protestant or Catholic, often did lifesaving work. Child welfare services and the foster care system eventually replaced the early children’s homes. Most Catholic institutions closed in the 1960s and 1970s, but some of these early institutions continue to serve needy Montanans. 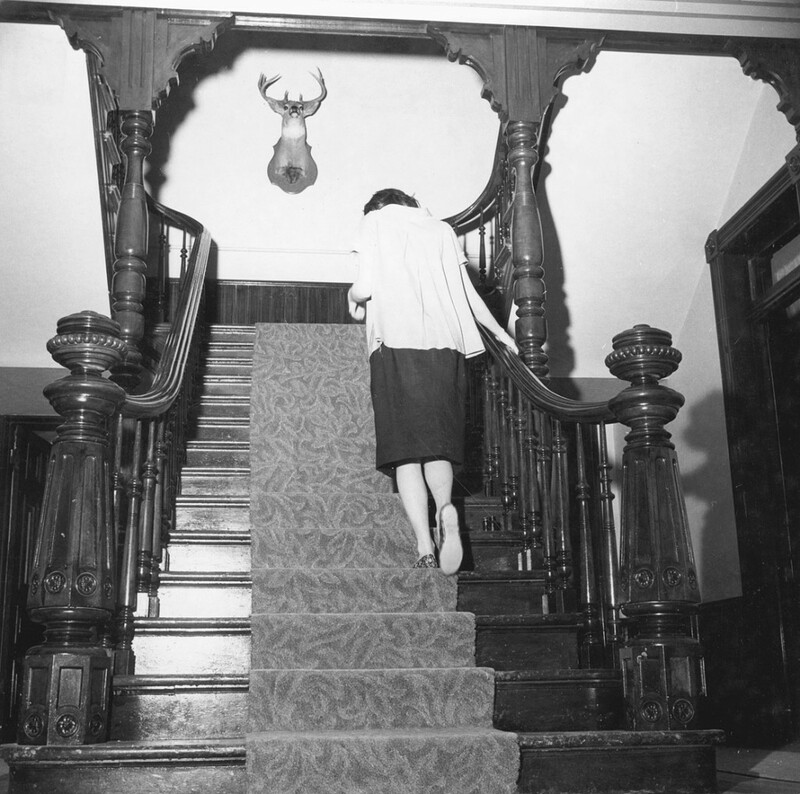 The Deaconess Home, now Intermountain, serves children under severe mental distress. The Florence Crittenton Home continues to accept unwed teens and focuses on parenting skills. The Children’s Home Society evolved into Shodair Hospital, which provides genetic testing and psychiatric services. Baumler, Ellen. “Into the Heartlife of Children.” At http://www.intermountain.org/cen/index.php. __________. “The Making of a Good Woman: Montana and the National Florence Crittenton Mission.” Montana The Magazine of Western History 53, no. 4 (Winter 2003), 50-63. __________. “Montana Deaconess School to Intermountain.” Montana The Magazine of Western History 59, no. 1 (Spring 2009), 23-41. __________. Montana Moments blog at http://ellenbaumler.blogspot.com/2013/03/methodist-deaconesses.html. __________, and Sr. Dolores Brinkel. “What Can a Woman Do?” The Sisters of Charity of Leavenworth and Their Pioneer Montana Missions.” Montana Woman, November 2012. “Billings Catholic Schools.” At http://www.billingscatholicschools.org/about-us/history/. New Advent Catholic Encyclopedia. “Montana.” At http://www.newadvent.org/cathen/10516b.htm. Shodair Children’s Hospital at http://www.shodair.org/. During the 1920s, Mrs. Harriet E. Carrier, executive secretary of the Family Welfare Association of Cascade County worked tirelessly and to improve family conditions for the landless Cree/Chippewa/Little Shell Indians on the West Side fringes of Great Falls society! She is too little known today. Sister Providencia Tolan later in the 1950s-60s became the “angel” to these landless Indians, by then relocated to Hill 57. Stay tuned for an upcoming article on Sister Providencia Tolan and her work on Hill 57. I am looking for a facility in Leavenworth KS in 1958 that was a home for unwed mothers. I do not know the name of it. I only know my mother was sent there in 1958 to give birth. We assume she was sent home the first half of 1958. I really have very little information and don’t have a clue where to start. Could you help point me in the right direction? I am also looking for this facility. My best friend was taken there after she became pregnant at Kansas University. I have driven the Leavenworth streets trying to remember where I went to visit her every weekend. Have not been successful. I lived in the Deaconess us in Helena with my two brothers and three sisters. I believe my grandfather paid for our keep there. After he died, we ended up placed in the Twin Bridges MT orphanage. My twin sister, Gloria and I were the last to leave the orphanage in 1945.